BEIJING (Reuters) - China's central bank told a top-level government internet finance group that the monetary authority can tell local governments to regulate the power usage of bitcoin miners to gradually reduce the scale of their production, a source said. 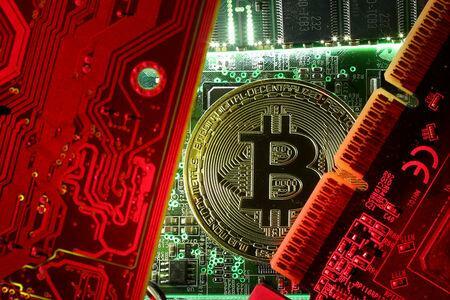 While the People's Bank of China (PBOC) can't directly regulate bitcoin miners' power usage, it can ask local authorities to do so, the central bank told members of the Leading Group of Beijing Internet Financial Risks Remediation at a meeting at the end of 2017, the source said. Experts say China is one of the world's biggest sources of bitcoin mining, where miners solve complex mathematical puzzles with computers in order to be awarded virtual coins. The intensive use of computers for bitcoin mining has boosted demand for electricity. In September China ordered all initial coin offerings to cease and all cryptocurrency trading exchanges to be shuttered with the aim of containing financial risks. Bitcoin miners have feared that they could be the next target. At the meeting, the PBOC said development of bitcoin mining will be limited, according to the source, who declined to be named as he is not authorized to speak on the matter. The PBOC could not be reached for immediate comment outside business hours.